Can Lucid Dreams cure nightmares? Lucid dreams are dreams in which the dreamer knows that they are dreaming but does not awaken. Experienced Lucid dreamers are able to control the content and direction of the dream. Lucid Dreams have been the subject of discussion for centuries. Various Lucid Dream techniques and dream practices are a part of Dream Yoga and Tibetan Buddhist practices but were largely dismissed by western practitioners. In recent years hard scientific evidence that Lucid Dreaming is occurring has been accumulating. The goal in Lucid Dreaming is to manipulate the dreams so as to solve problems and reduce distressing elements of the dream. If the dreamer can recognize that they are dreaming they can become an active participant in the dream, creating and acting out events in the dream they wish would occur. 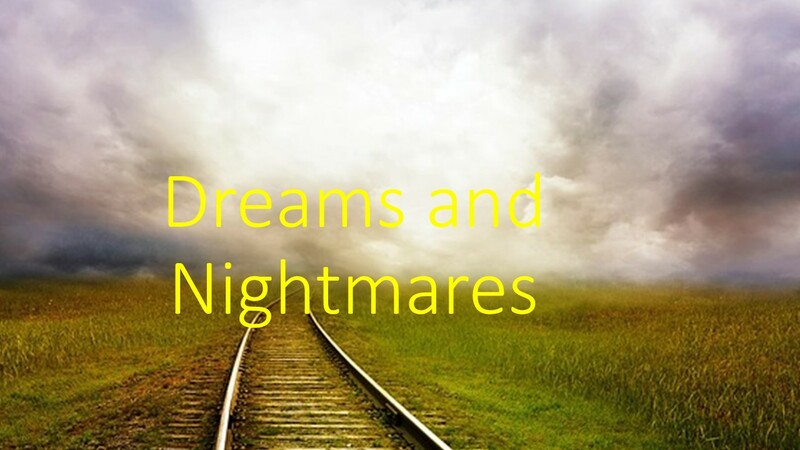 In a previous post, I wrote about how Nightmares can Maintain PTSD, most treatment for nightmares has involved talking about or rewriting dreams while awake. Lucid dreaming creates an opportunity to work on altering distressing dreams as they occur by taking actions to alter the course of the Lucid Dream. Lucid Dreaming was used effectively in one 2006 study to reduce the frequency of nightmares. While therapy has been applied to interpreting dreams and to coping with distressing elements of dreams after they occur, lucid dreaming is a tool for altering the dream as it is in progress. Becoming aware that you are dreaming has also been used by artists and people seeking to improve their creativity by increasing the ability to move visions in the dream world into the awake world. Most dream content is lost in the morning as soon as the dreamer moves or begins their morning rituals. Learning to recognize that you are dreaming and to continue to hold and process the dream upon awakening can increase the amount of the content of your dream the conscious mind retains. Keeping a notebook by the bed and writing down all you can of the dream immediately upon awakening helps keep the dream from evaporating upon rising. Experienced Lucid dreamers can review previous dreams and return to finish a previous dream. Lessons learned while dreaming can then be retained and applied to the waking life. Researchers have found that things seen in the dream state will be believed even when they defy the laws of physics as we know them. While asleep the dreamer is willing to believe what they see, but upon awakening, they are quickly aware that what they saw in the dream is not possible. In the dream state seeing, really is believing. Related to Lucid Dreaming is the phenomenon of False Awakening. In False Awakening the dreamer dreams they have awakened but the dream continues. This continues until the dreamer realizes this must still be a dream or until they really do awaken. Related Posts include Sleep Paralysis and Trauma Steals your Sleep. Have you been able to recall your dreams? Have you ever tried to participate in the dream and alter the course of events? If you have had a Lucid dreaming experience or a false awakening please leave a comment. This entry was posted in Sleep and tagged False Awakenings, Lucid Dreams, Nightmares by David Joel Miller. Bookmark the permalink. My 20yr old son practices this!…Lol..I didn’t believe this was even possible!..